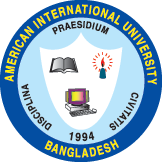 On 2nd October, 2016, a seminar was organized by AIUB Community of Engineering Students (ACES) named “Simultaneous Wavelength and Orbital Angular Momentum Tuning by MEMS Integration in Vertical-Cavity Lasers: A New Degree of Freedom in Data Transmission” at Room No 266, FE Building, American International University-Bangladesh (AIUB). The guest speaker was Mr. Sujoy Paul (Scientific Researcher, Electrical Engineering Department, Technical University of Darmstadt, Germany). The main motivation of the seminar was to acknowledge the participants to the importance of data transmission with the newest technologies and the future customization (development) of this sector. Prof. Dr. A.B.M. Siddique Hossain (Dean, Faculty of Engineering, AIUB) gave the inauguration speech. He addressed the participants to know the details of data transmission as well as the applications for a better tomorrow. Then came the turn of the speaker Mr. Sujoy Paul, where he started his speech by displaying the slides on the definition of data transmission, the history of VCSEL and the structure of it. He came with the brief characteristics and advantages of VCSEL, definition of Tunable VCSEL, Optical Vortex and OAM. Then he introduced the participants with Digital Data Transmission, Different Techniques of Wavelength Tuning and Fabrication of MEMS Tunable VCSELs. At the very end of his speech there was an interactive question answer session between the participants and the speaker. Mr. Rinku Basak (Assistant Professor & Head, Graduate Program, Department of EEE, AIUB) gave the ending speech. At the end of the session, he presented souvenir to Mr. Sujoy Paul in grateful recognition of the invaluable presentation. Mr. Mohammad Ismail Hossain (Assistant Professor, Department of EEE, AIUB), Mr. Sayed Muhammad Baker (Lecturer, Department of EEE, AIUB & Motivator of ACES), Ms. Shahreen Hassan (Lecturer, Department of EEE, AIUB & Motivator of ACES), Mr. Kazi Asif Ahmed Fuad (Lecturer, Department of EEE, AIUB) graced the seminar with their presence. Then the interactive seminar came to an end with a vote of thanks to the speaker and also the participants of the seminar.